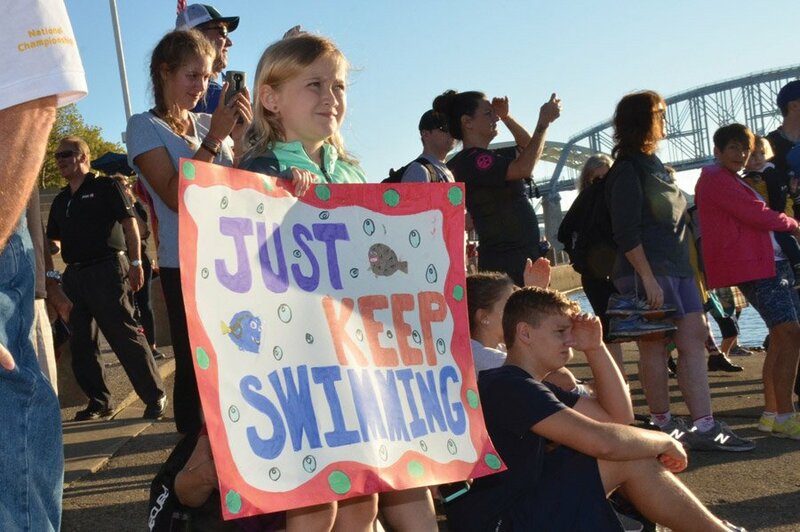 When the Great Ohio River Swim began in 2007, Bill Keating Jr. was among the first to sign up. 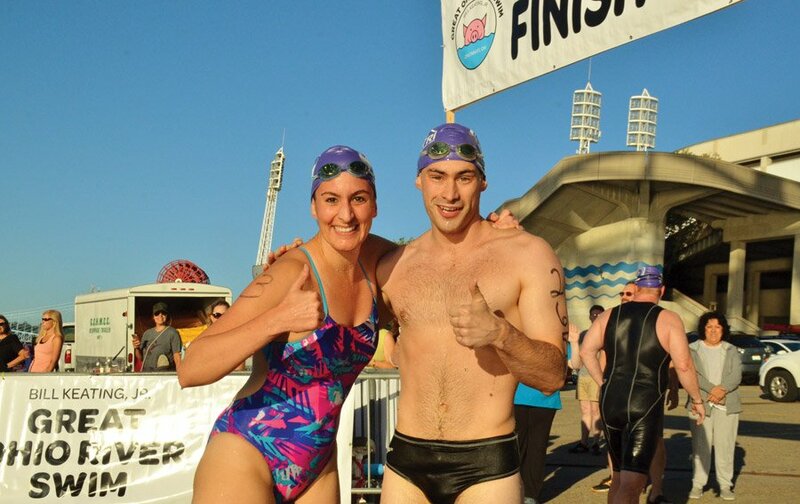 He won the men’s swim that year, but lost the overall title to his daughter Caroline. 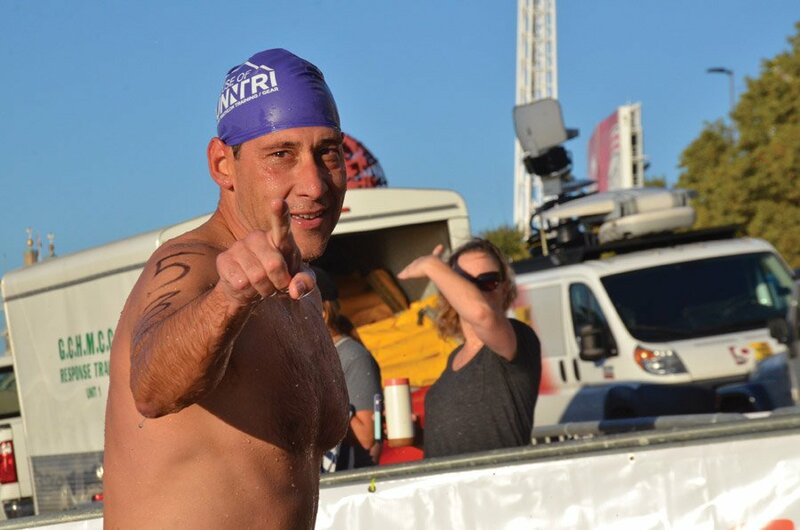 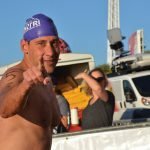 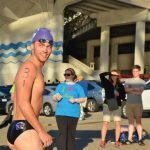 Three of his kids and his father swam with him over the years, along with many others he talked into joining him for the 900-meter swim. 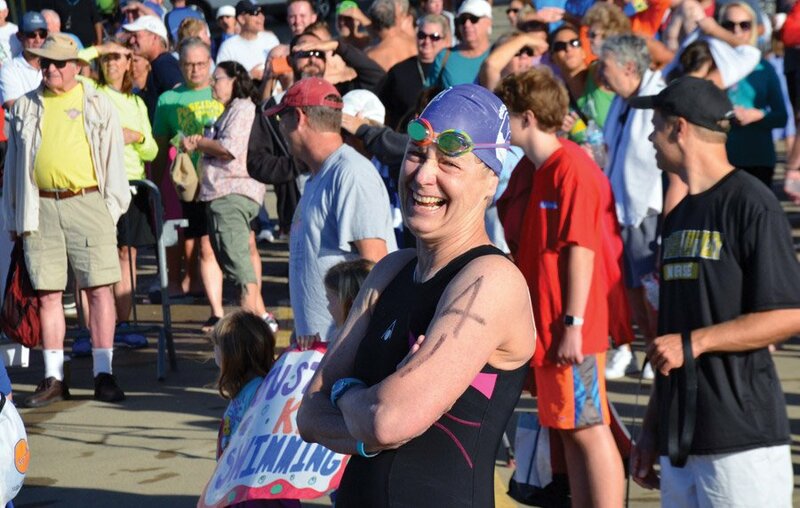 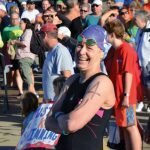 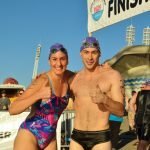 In March 2017, after Bill lost his battle with brain cancer, the swim gained a new name. 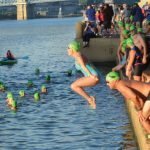 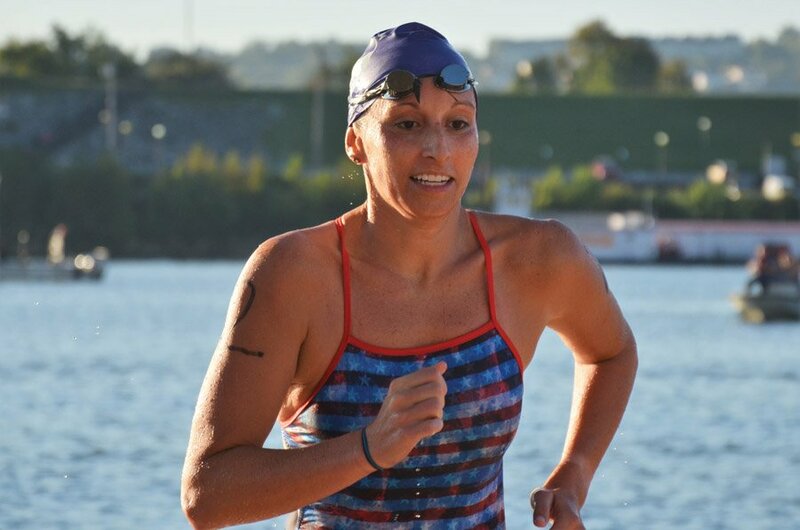 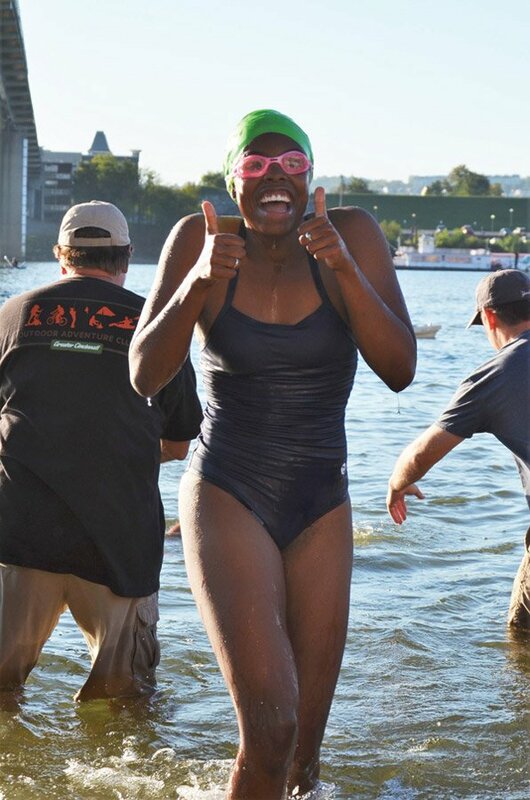 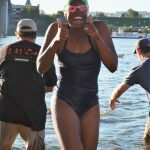 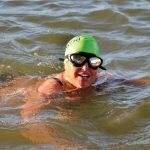 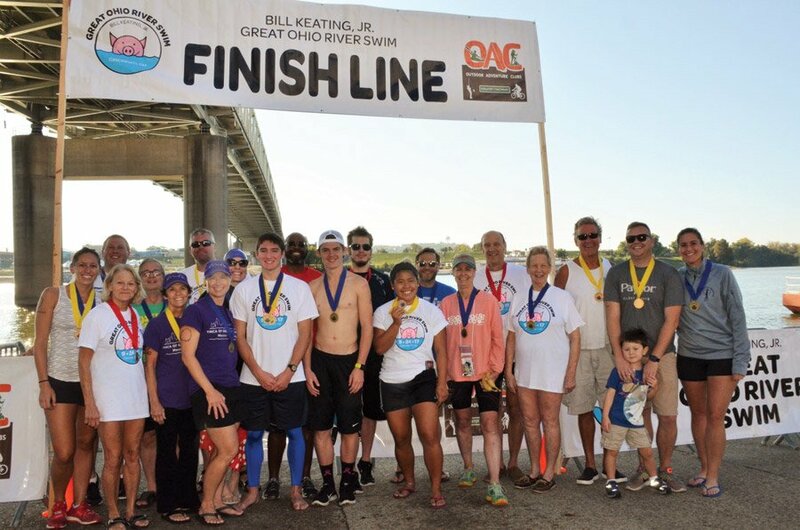 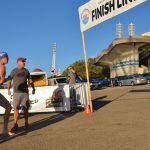 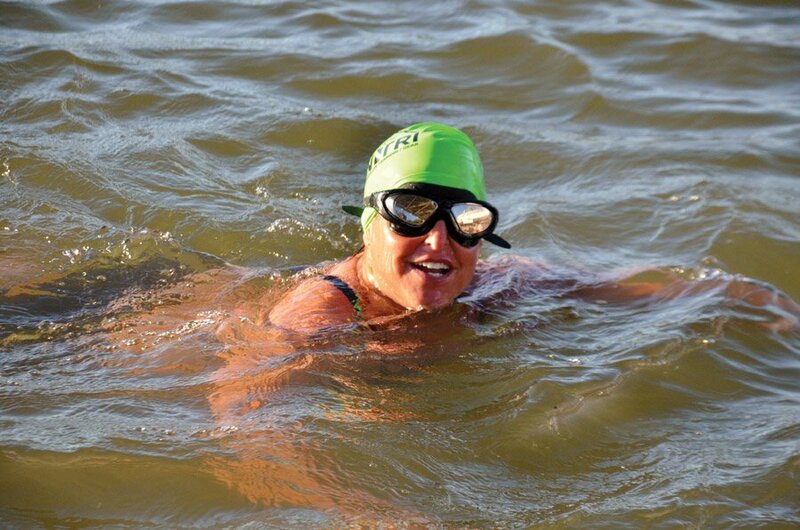 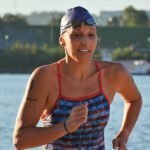 Marking its 10th anniversary in late September, the Bill Keating Jr. Great Ohio River Swim attracted 150-plus swimmers, ranging from high school students to collegiate competitors, families and retirees. 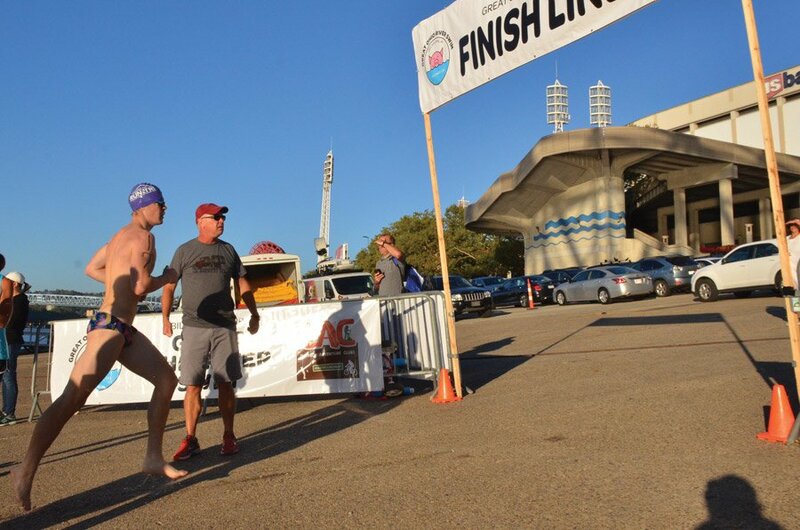 The winner, Ricky Dungan, made it in just over 10 minutes. 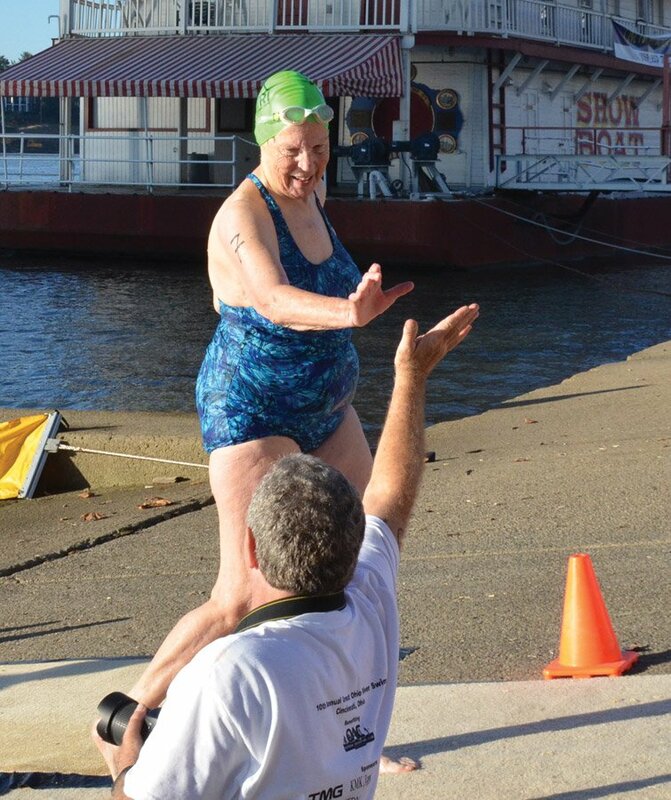 It took Marilyn Braun just under 36 minutes, but note that she is 84 – and was not the last to finish. 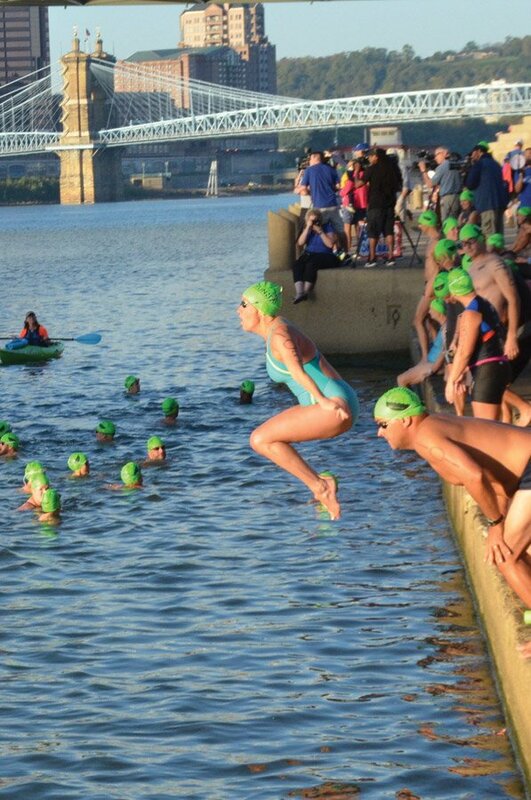 Swimmers start at the Serpentine Wall, swim to the Kentucky side, then back to the Public Landing. 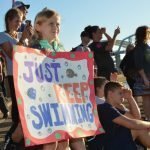 The river is closed to motorized traffic during the swim, and law enforcement and water rescue personnel are on hand, along with safety paddlers in kayaks and on standup paddle boards. 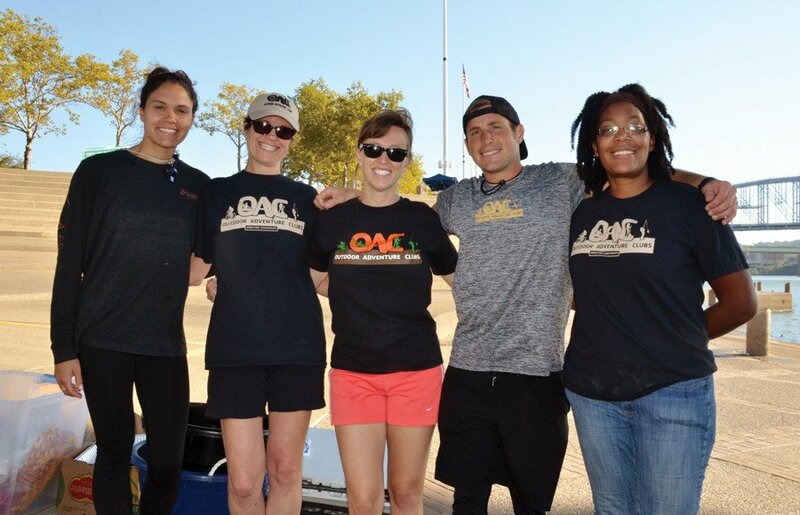 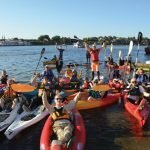 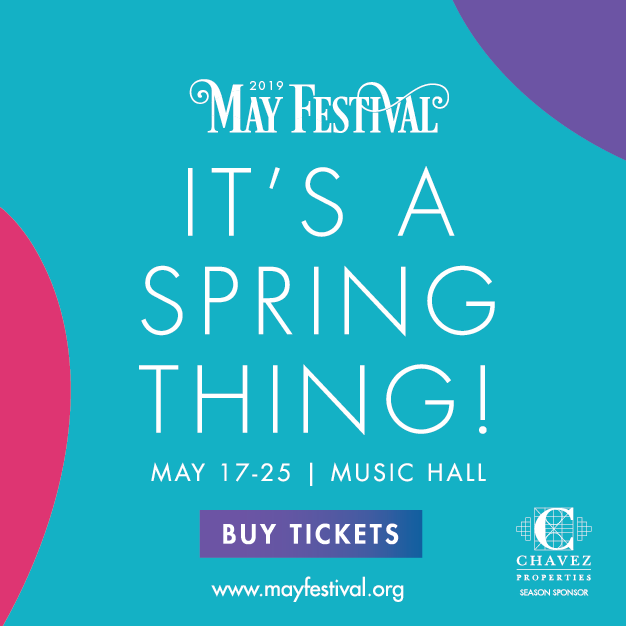 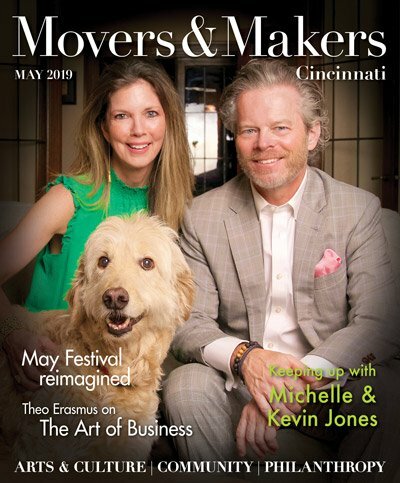 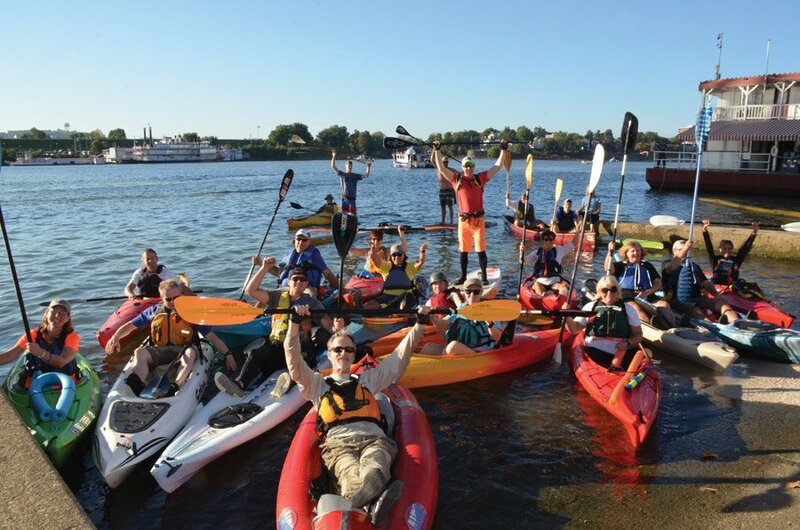 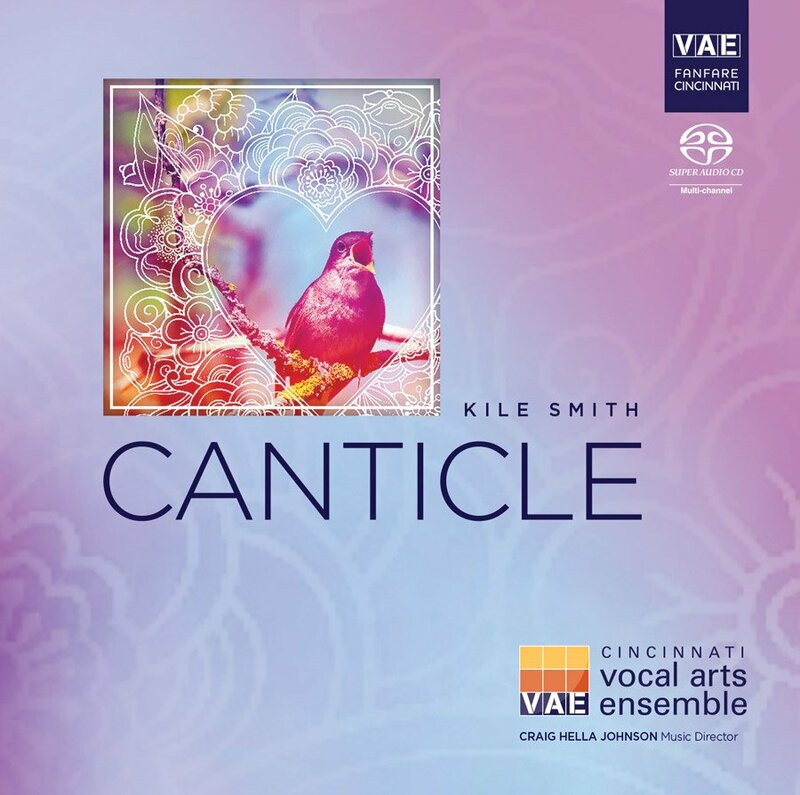 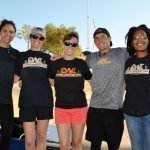 Proceeds benefit Outdoor Adventure Clubs, which provides urban youth the chance to experience nature through hiking, camping, bicycling, kayaking, skiing and other outdoor activities. 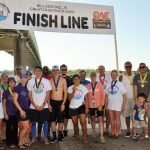 Safety kayakers and stand-up paddle boarders were there to help swimmers, if needed. 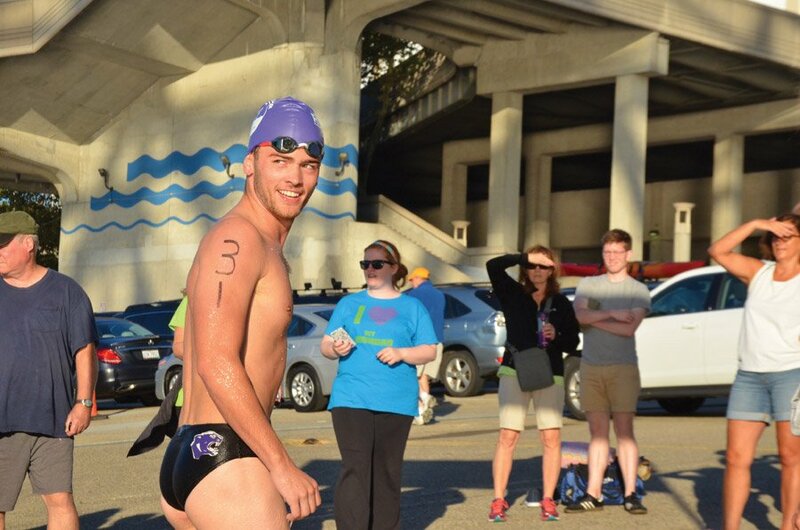 Ricky Dungan, men’s winner, with a time of 10:18. 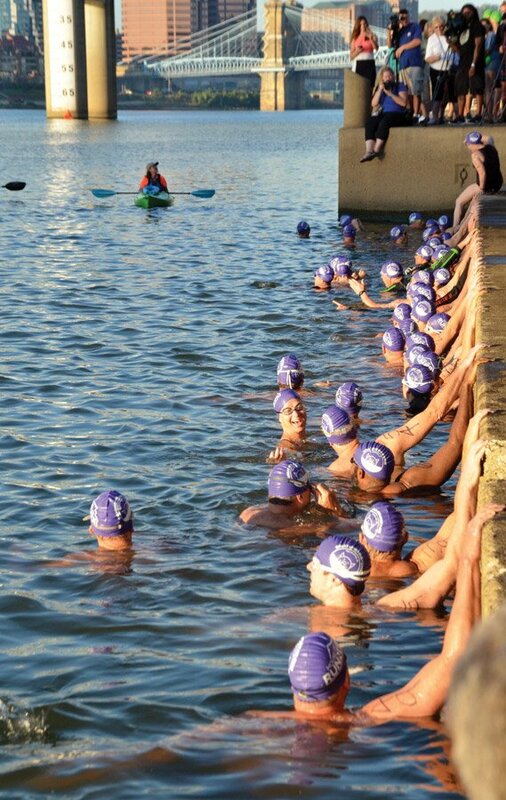 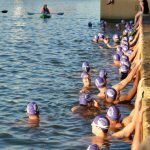 Purple caps signify swimmers who are racing. 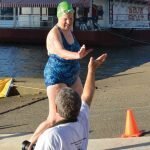 Marilyn Braun, oldest swimmer at 84, finished in 35:56.